UPC 074299038501 | Barbie Doctor Doll - Changes from Doctor to Glamorous Date! Marketplaces and prices shown matched UPC number 074299038501 during our search. 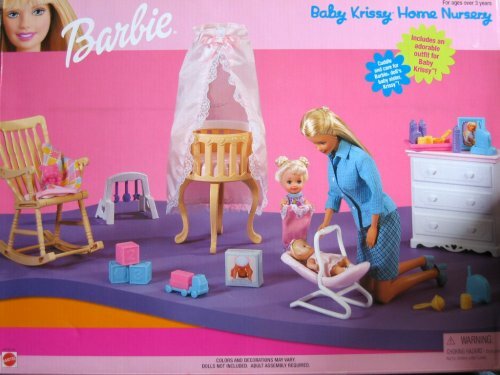 Doctor Barbie Doll is a 1987 Mattel Hawthorne production. NEW - Box dented at top & plastic is yellow/cracked on side; PLEASE check In CONDITION NOTE/Comments for ALL Box Condition Information. INCLUDES: Barbie Doll approx. 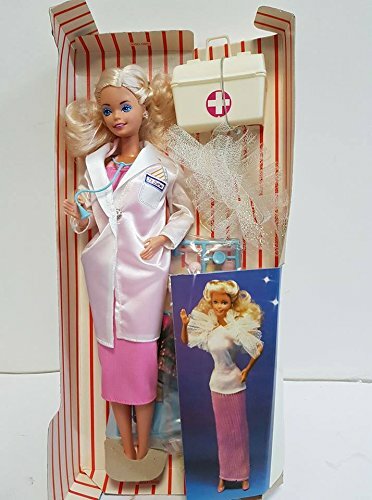 11.5" tall, Fashions for Barbie Doll, Pair of Earrings, Finger Ring, Doctor Bag, Cast, Stethoscope, Blood Pressure Gauge & Cord, X-Ray, Reflex Hammer, an Otoscope , "Watch", a Beeper, 4 Bottles, Adhesive Strip Box, Roses, 25 Sheet Note Pad, Clipboard, Hair Brush, Label Sheet, Package Press-Outs, & Instructions. 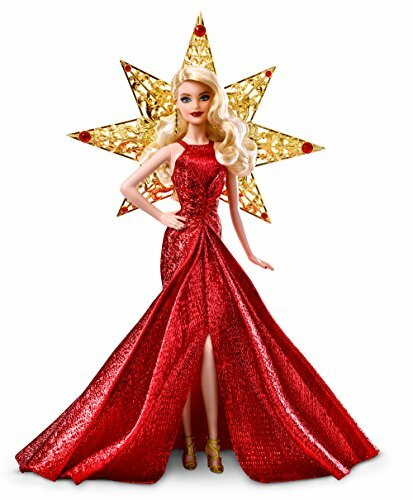 Included Items are Pretend & Intended for most Barbie Dolls & most other 11.5" Fashion size Dolls; 1 Barbie Doll is included. For Ages 3+ Years. All the description details, sizes and colors are provided to the best of my ability & may not be exact; colors, sizes & details may vary. NEW. Box ONLY has shelf wear (edge/corner rubs & small creases, small tear at top corner, & plastic yellowy & has small crack on side. For BOX CONDITION and more Information please EMAIL SELLER for Details.